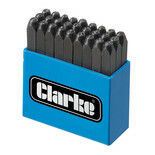 Create an impression with this 36 piece x 4mm letter & figure set. 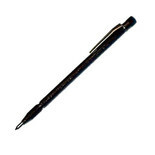 A positive impact marks most metal surfaces for reference, security and positive identification. 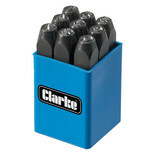 Hand pressure alone will operate this surface impacting and marking device. 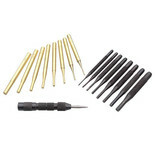 Adjusting the internal spring tension varies the depth of impression. Pull, prod, pick, scrape or scratch. 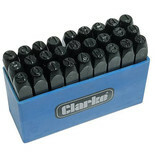 This handy 5 piece tool kit has 1001 users underneath the bonnet and elsewhere. Helps prevent sore fingers too! 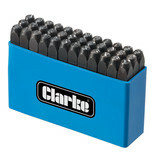 Ideal for hobby, craft, wood working, clay or ceramics & etching. 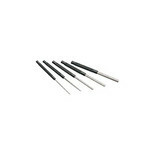 A useful set of 5 long drive pin punches for general engineering use. 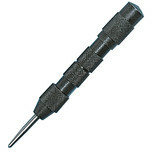 This pen style engineers marking tool with a comfortable grip is effective on the hardest of surfaces. 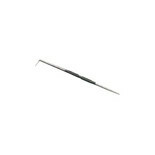 Integral clip for pocket convenience. 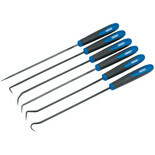 A comprehensive 8 piece short drive set for general engineering use. 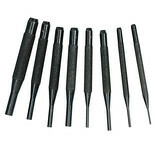 A 6mm set of 9 hardened and tempered steel number punches. 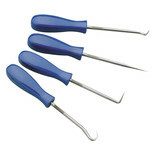 A comprehensive set of punches to cover most practical requirements. 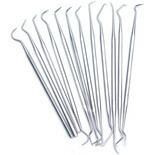 Including both non sparking brass pieces and others made from conventional hardened steel. 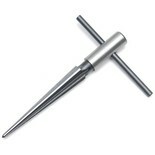 A double ended 190mm surface marking tool with straight and 90° points both hardened and ground for long life. 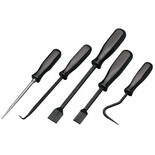 The ideal tool for finishing & de - burring drilled holes in metal panels and sheets.